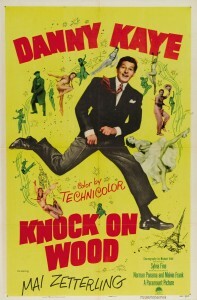 I hate the phrase, "Knock on wood". The only time it has ever been okay is when it was sung by The Mighty Mighty Bosstones. If you're one of the people who've said something in the cockpit like, "I've never had an engine fire or a hydraulic leak. Wait, let me knock on..." and then looks around the cockpit for something to knock on, you may recall I gave you a courtesy smile. I hate that phrase.I'll put my foot where my mouth is. I'm gonna use it. So far the formula for keeping the peace with a newborn has been pretty simple. I'm looking for some wood to knock on. I'll amend my hatred for that phrase. If you're somewhere in which wood is unlikely to be present - there will be no knocking. I just used air quotes. If ever I share a room with you on the International Space Station and I see you looking around for some hard wood flooring after saying "all this time and the toilet has backed up once", I may kick you in the shins. Never mind. Forget the knocking! I'll say it loud and boastfully... proudly tempting fate! So far the formula for keeping the peace with a newborn has been pretty simple. There are only a few things to fix when he cries... Sometimes I look around and wonder if there is more to it than just changing a wet diaper or giving him something to eat? The crib is pretty simple. Maybe he's upset because he'd rather have a few hundred thread count sheets to cuddle up under or at least a pillow? I've seen the inside of enough Hampton Inn elevators to know all humans want fluffy comforters and free waffles. These are the things that make you see sheep while you sleep. Maybe he's not happy with the amenities? Is this why he cries? Nope - wet diaper. The Ipod has been on repeat for a few days. Maybe he's tired of hearing the same "Nature's Tranquility" tracks? The sounds of the Amazon Rain Forest may be freaking him out? I know some nights when I'm halfway between sleep and deep sleep but upright and tripping over myself those tunes put me inside Apocalypse Now. Nope, a bottle of the same stuff he's been drinking since birth and he's good to go. Don't get me wrong - sometimes I'm tired and the bottle and diaper change take a little longer than I'd like. Sometimes he doesn't just roll back to sleep as efficiently as his old man does. Eight and a half hours before the hotel van time and lights out for me. "Come on buddy, we're gonna do this is three hours - it's now or never." It's these time I wonder if he's been listening over my shoulder to NPR and wonders if there will ever be peace in the Middle East? Maybe he has the answer and just doesn't have the ability to tell me? Maybe this is what's upsetting him? Nope, a bounce or two and a burp and then he's off to the pillow races. Again, so far the formula has been pretty simple. Now, let me find some wood to knock on. It's too bad "Stomp on Wood" lost it's flavor. According to Wikipedia, it was said to originate from early settlers when they would stomp the floor in their log cabins to avoid bad luck.